If there’s a downside to buying a Dyson it would have to be that much like Apple, you’re going to be paying more simply because of the name. But don’t let that dissuade you. You can count on the product doing what Dyson claims, at least for the most part. However, if you’re looking for a cheap and temporary solution – this probably isn’t the right device for you. Essentially, this three in one Dyson is a fan. It’s a fan that heats quite well in winter – or whenever you need to warm your room. But it’s cooling effect is similar to that of virtually any other fan in that it moves the air about, thereby, creating a mild cooling effect. 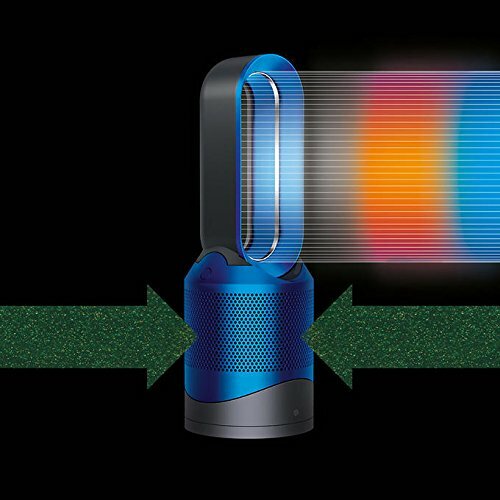 But it’s the fact that the Dyson Pure Hot Plus Cool has a built-in air purifier makes it especially valuable. You wouldn’t purchase this model to simply use it as a fan. That’s because in either Hot or Cool mode – it’s constantly scrubbing the air and ridding it of harmful pollutants. It’s a quality, well-made purifier too – complete with a HEPA filter Dyson claims is capable of removing 99.97% of airborne pollutants and allergens as tiny as 0.3 microns in size. But that’s not all. It also has an active carbon layered filter for capturing harmful toxins and unpleasant odors like cigarette smoke. Whether you’re attempting to cool or warm a room, the air this Dyson emits is fresher and cleaner than the air it takes in. However, just like any quality air purifier, the HEPA filter will need to be cleaned and replaced periodically. Cleaning (with a vacuum) should be done monthly, whereas replacement is necessary about once per year – or every 4400 hours as the manufacturer suggests. All HEPA filters need to be changed at least annually and that’s what Dyson recommends. A replacement filter for the Dyson costs about $100 – which is on par with other brands. 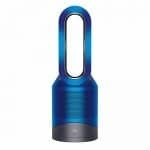 What I love most about the Dyson Pure Hot Plus Cool Link Air Purifier is that it can automatically monitor the room’s temperature and air quality and react accordingly. Connect it to your smart phone or tablet and the Dyson Link app delivers reports in real-time. 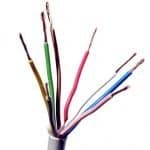 It also allows you to control your machine from your handheld device, whether it has an IOS or Android operating system. Auto Mode is built in, as is a Sleep Timer and Night-Time Mode for a quieter operation. This Dyson air purifier has both a jet focus and dispersed air flow control. This means you can experience a more concentrated direct air flow or diffused air flow – whichever you prefer. Whether you are trying to supplement the heat or cool things down, your Dyson is continuously purifying the air for you. 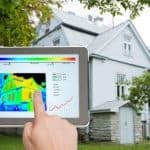 And you can easily monitor the quality of your indoor air through the Free app provided on your smart phone, tablet – or both. 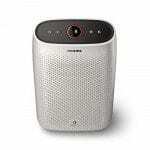 Additionally, the Pure Hot Plus Cool air purifier offers 360° coverage. What this means is that its filtration capability happens in every direction of the room. So as with any air purifier, it’s important to set up your Dyson away from anything like walls and furniture. That would only obstruct the airflow. Whatever the contaminant is in the air – pet dander, pollen, bacteria, etc. – you can count on your Dyson air purifier to capture and clean the air. It’s probably not quite as effective as a machine devoted exclusively to air purification. However, it does an impressive job for a three-in-one combination unit. The Dyson is a safe fan because there are no fast-spinning blades or awkward grills for a youngster to get their fingers caught in. It also has a feature where if the fan happens to get tipped over – it will automatically shut down immediately. The Hot Plus Cool Link has also been certified allergy and asthma friendly. Normally if you wanted all three functions (heating, cooling, and purifying) you would have to purchase three separate machines. This one combines them all to provide full year-round functionality. There’s no question that the Dyson Hot Plus Cool makes a sound investment for most any home. But, you need to purchase it for the right reasons. 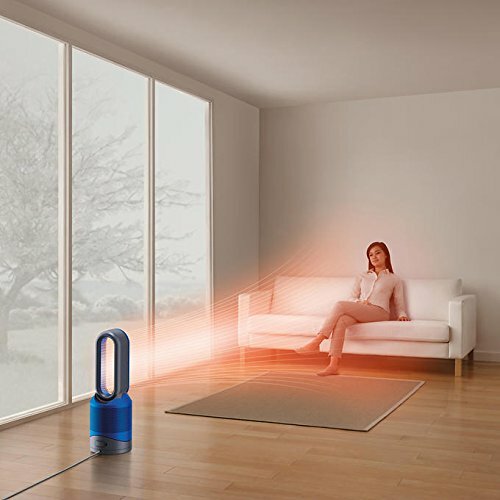 Use it just once in winter and you’ll notice that the Dyson is capable of heating the room quite quickly – as long as there’s a primary source of warmth functioning simultaneously. The Dyson is recommended mostly as a supplemental heater and not as a primary source. When used accordingly, it works exceedingly well. 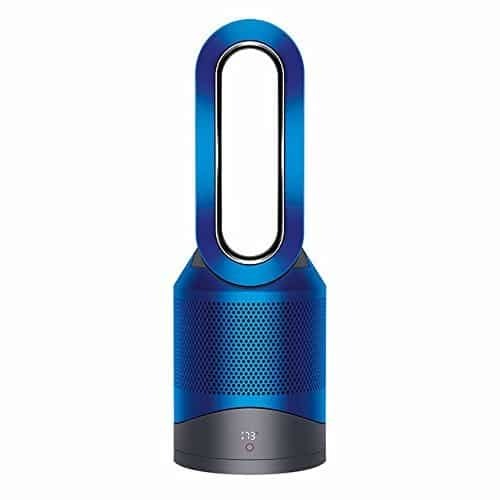 As a cooling device, the Dyson is pretty much like any other room fan of its size. It’s not an air conditioner, so it doesn’t actually drop the temperature in a room. But when paired with a room air conditioner or a portable air conditioner, this unit it can do a magnificent job of spreading that comfortable, cooling air over a larger area. It’s a standalone device that’s well-built, durable and stable. The Hot Plus Cool is best used in small to midsize rooms of up to about 250 square feet. As a supplementary heater where you only need to warm a room by a slight margin, you could get away with using the Dyson in a larger area. The heat definitely works and the built-in thermostat makes it easy to run automatically. You can set the thermostat to a comfortable temperature and when the room hits that temperature, the fan will shut off. As the room cools and the temperature drops, the fan then kicks in again to bring the temperature back up to where it should be. Also, be sure to register your purchase to qualify for the full two-year warranty direct from Dyson. Like any fan, the higher you crank it, the louder it becomes. The good news about the Dyson is that in never gets to the point of being obnoxiously loud. In most cases, it only produces a low humming sound. With a Wi-Fi connection your Dyson fan will communicate to give you information about the quality of the air and the temperature inside the room. With it’s 360° filtration, it works in every direction, cleaning the air throughout. Another great feature is that it also comes with its own magnetic remote control. It’s easy to operate, gives your full control of the device and the magnet ensures that never lose the remote because it secures to the top of the fan itself. The mobile app is a handy feature that lets you know that the air is being filtered clean. it also indicates humidity and temperature, so you can make the necessary adjustments. One thing’s for certain – you’ll enjoy a greater degree of comfort and feel better about the quality of the air in your home. While not every Dyson product I’ve tested gets high marks – this one certainly does. Instead of purchasing 3 separate appliances – you get all three in one. As a supplementary room heater – this delivers continuous heat to maintain your chosen temperature, then shuts down to save energy once the room temperature is attained. As a fan, it does the job safely and the pivoting head makes it much more useful than some fans. To top it off, getting all that purified air every time you use it makes this an appliance you’ll want to hang on to.